A narrative example from the Op-ed world of news could be as follows: In Syria, democratic protesters are fighting against a brutal regime that slaughters them with impunity. These democratic protesters, now called rebels, are always at risk of being annihilated by state violence and torture because the Western Left has “failed” them.We must all support these rebels and pressure our government to do the right thing,whatever that might be. Yet, there is danger when a pundit or entertainer decides to call herself a journalist without having been subjected to the same standards we would expect from the NYT stringer. Facts are not checked and sources are not vetted. So-called journalists, such as Michael Weiss or Molly Crabapple, rely heavily on anonymous sources who slip them scintillating information or photographs. And yet, I am unsure who these sources are, who has vetted them, and how they did so. Indeed, as this new generation straddles the line between journalist and pundit, the means by which they communicate are themselves in question. My own WhatsApp number is from Iraq, though I have not lived there since October 2015. So, I think it’s natural to ask how these sources are processed, especially if the Op-ed writers posing as journalists are writing whole books based on their testimony, appearing on talk shows as experts, and building careers off promoting wars. While the content may be biased and one-sided, laden with marketing copy and convenient omissions, we should be incredibly wary on how we define, protect, but also how we verify the “source”. Indeed, I wouldask how these pundits find, vet and receive information, but as many already tried to have me fired from my last job for asking such questions, it’s pointless to attempt from my position – though I welcome corrections and inputs from editorial. “About two dozen journalists here. Can’t see any Western press. Strange, given how worried they were about ” ~ Link to tweet here. A+E Networks is close to buying a 10 percent stake in Vice Media Inc., a deal that would value the company at about $2.5 billion, according to people with knowledge of the matter. The purchase by A+E, the TV programmer owned by Walt Disney Co. (DIS) and Hearst Corp., may be announced as soon as next week, said the people, who requested anonymity because they weren’t authorized to speak publicly. Disney and Hearst each own 50 percent of A+E, which operates its namesake cable channel, along with Lifetime and History Channel. Started as a counterculture magazine, Vice Media’s primary business today is video. It operates a lineup of online channels that include news, sports, technology, music and food. It also has a show on Time Warner Inc.’s HBO. 21st Century Fox Inc. owns a 5 percent stake, acquired last year for $70 million. Vice Media will explore opportunities to provide programming for A+E networks, according to the people, potentially gaining a new outlet for its work. The deal also gives Vice Media money to invest, including funds for news-gathering in far-flung areas. Media critics have praised the company for a recent series on the Islamic State, the armed militant organization that has seized parts of Iraq and Syria. Vice Media, which draws viewers to its own sites and on YouTube, appeals to a young demographic that cable networks want to reach. Popular A+E shows, including the History Channel’s “Pawn Stars” and “Ice Road Truckers,” attract an older male audience. The Financial Times reported on the deal yesterday. 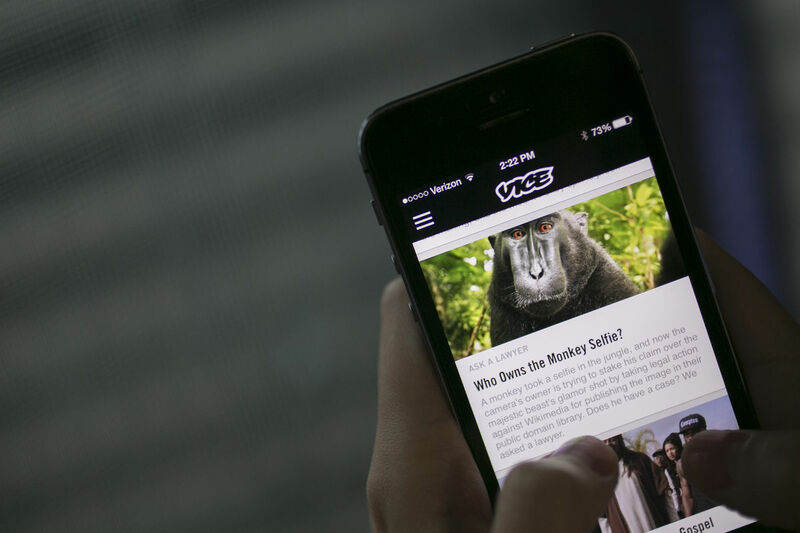 Time Warner was also in talks to buy a stake in Vice Media. Those talks have ended, a person with knowledge of the matter said yesterday.